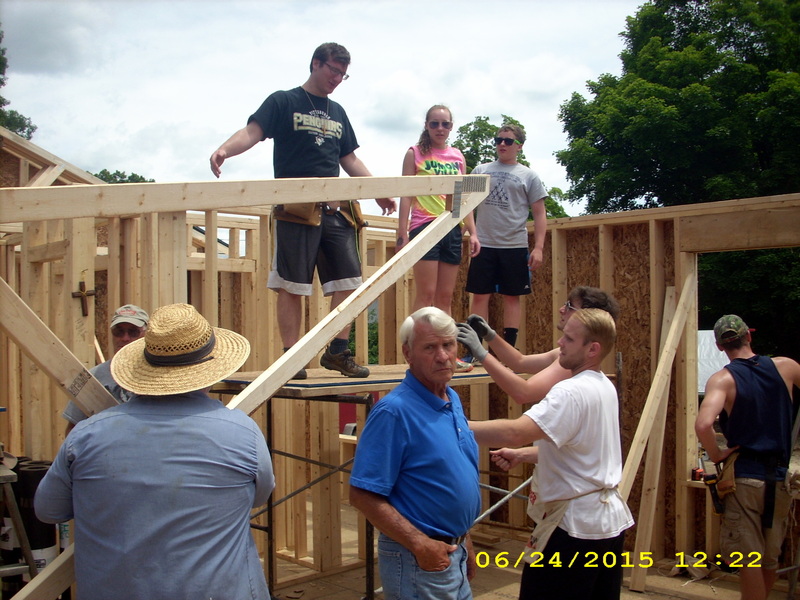 At FUMC, Clarion, our youth and adults participate in an annual mission work camp. 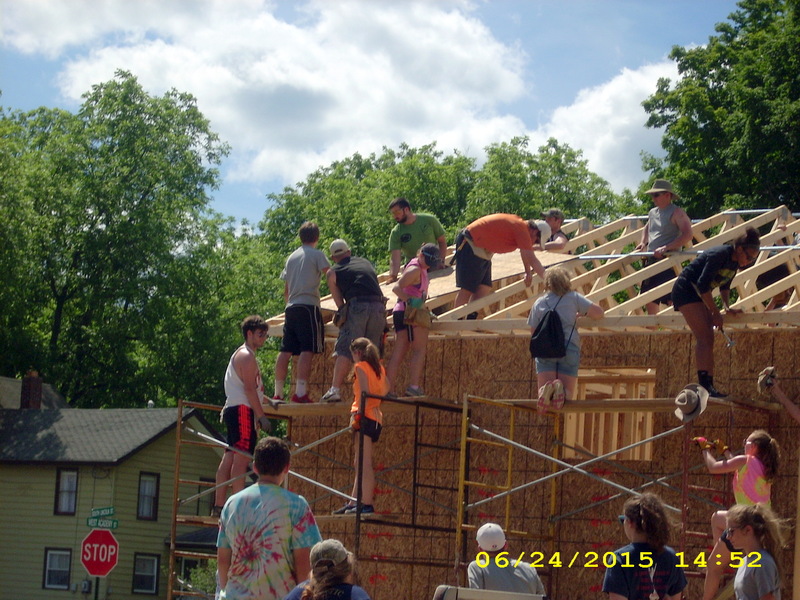 This is an ever-growing event with over 50 participating in recent years! 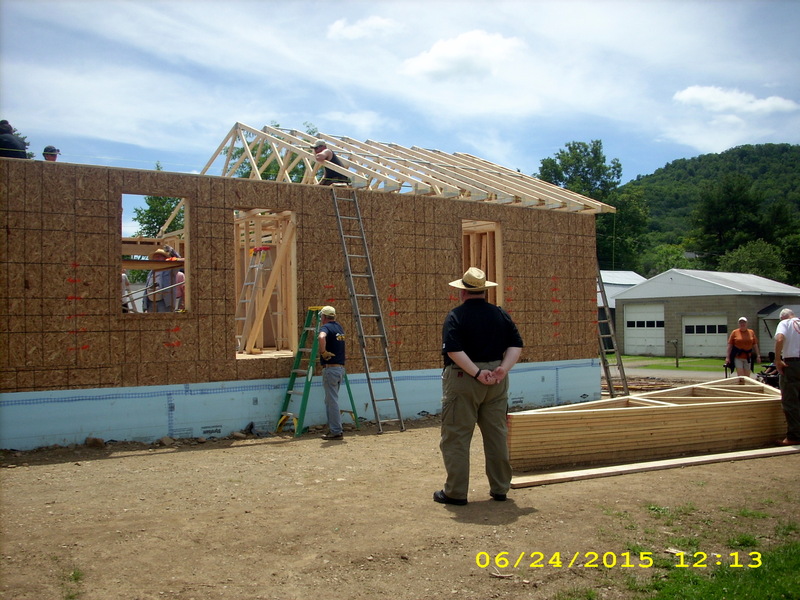 In 2013, we had the opportunity to work with Habitat for Humanity in WestHuntingdon, WV. 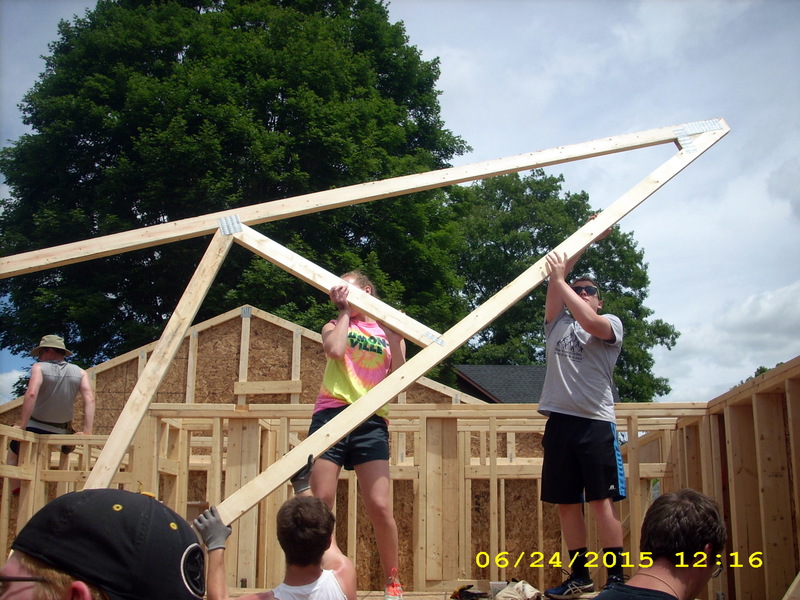 41 youth and adults from our church built a home for an adult woman with special needs who would be living independently for the first time in her life. 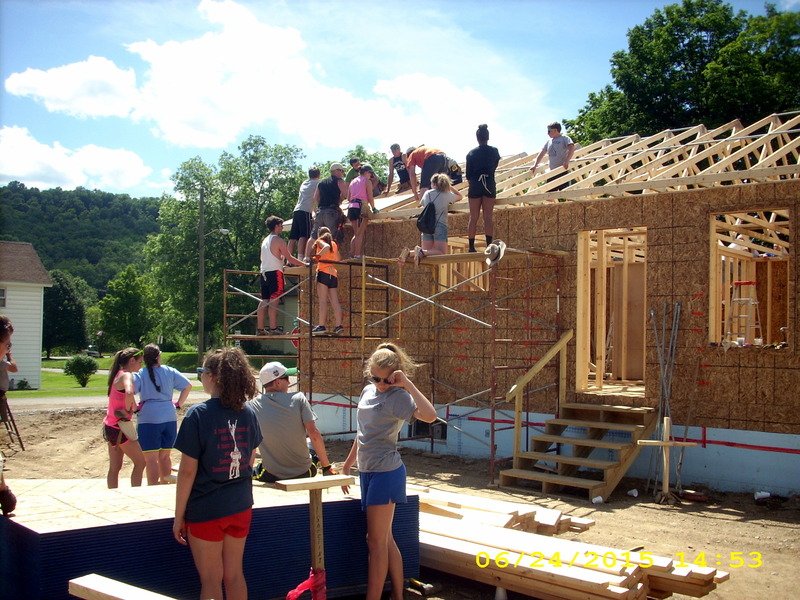 In 2014, we worked at a Free Methodist church camp near Kane, PA, completing a camp center for their ongoing ministry. 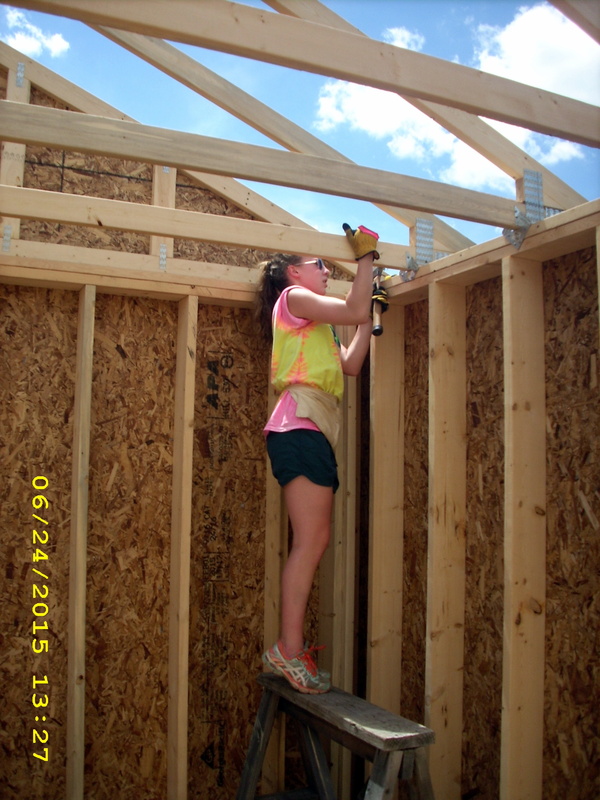 Youth from the Free Methodist camp in Kane worked alongside our youth; in fact, many of them returned to work with the youth this past summer in 2015. 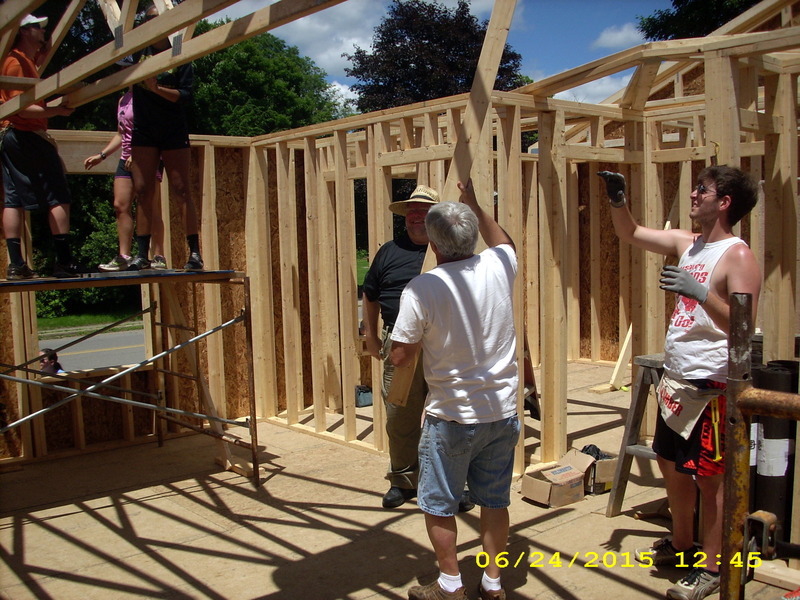 In 2015, we worked again with Habitat for Humanity, this time in Shinglehouse, PA, to build a home for a young family. 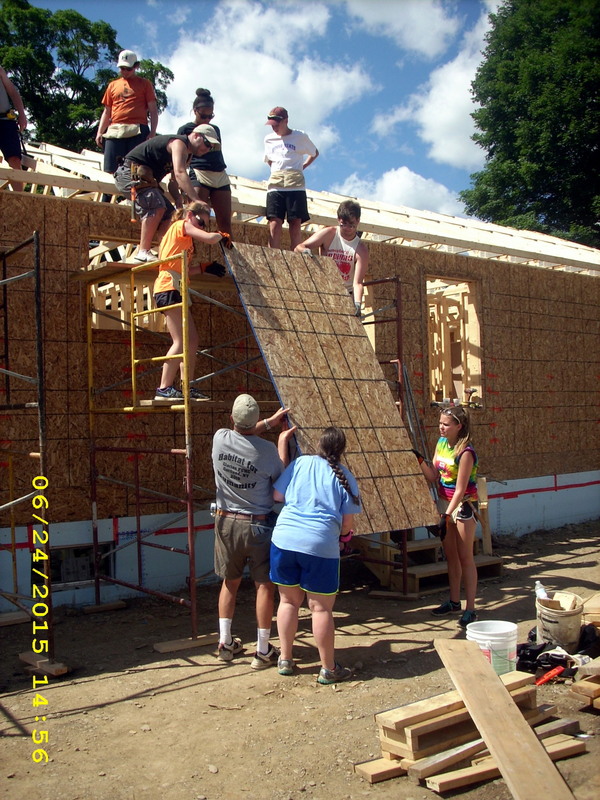 A small group of youth and adults also returned at the end of the summer to help complete the exterior of the home. 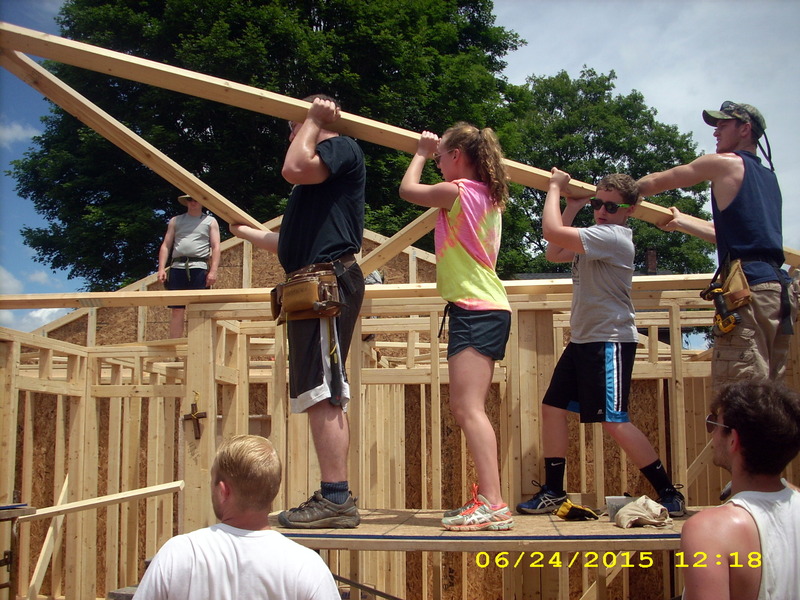 In June 2016, the youth group helped the Kiski Valley Habitat for Humanity in Apollo, PA, build a home in Vandergrift, PA. 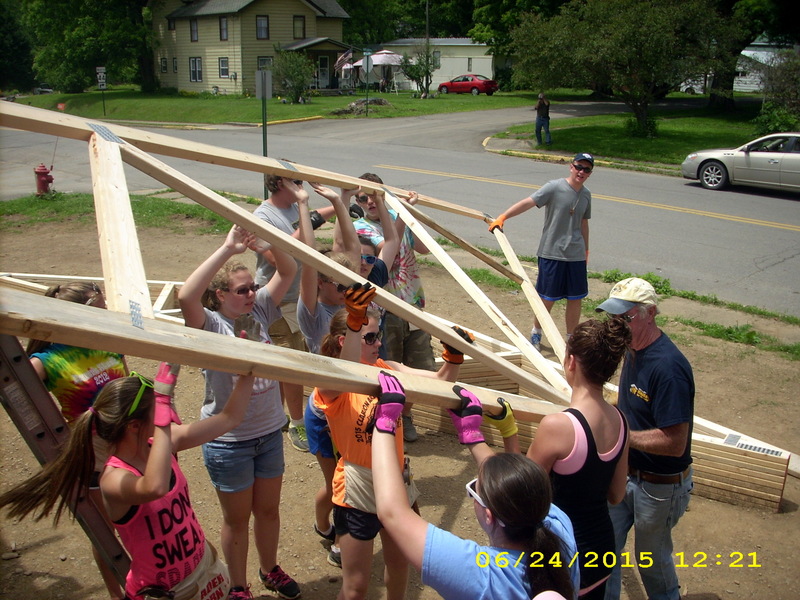 The group consisted of 29 youth, 3 college students and 13 adults. 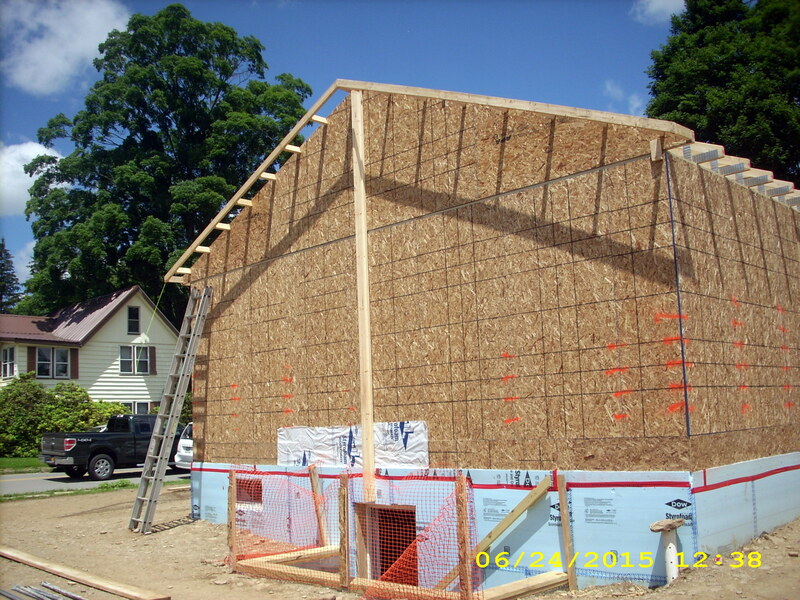 We were excited to learn new skills on this project as we were faced with an incomplete foundation upon arrival. 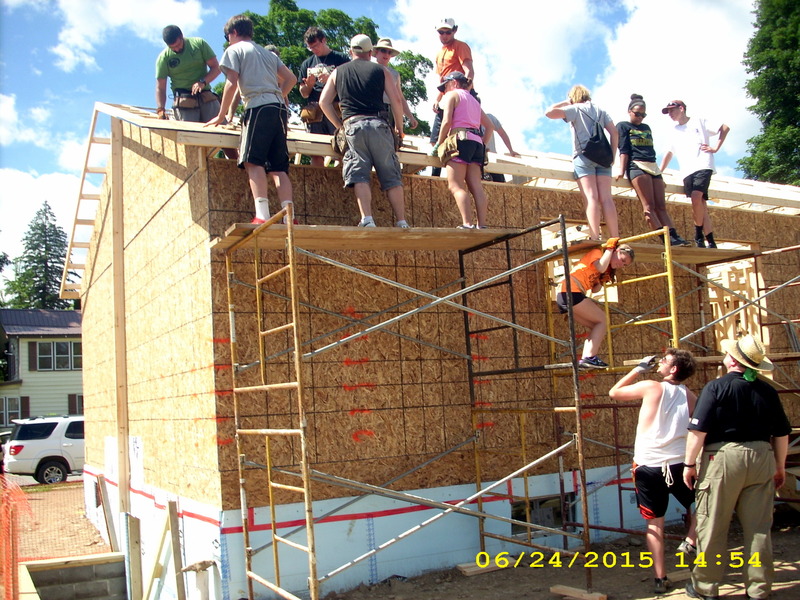 The kids loved learning new things as we completed masonry work, filling the foundation with gravel and ultimately erecting both exterior and interior walls. We filled in our extra time with swimming, miniature golf, ice cream, Pirates game, Gateway Clipper Rides, dinners and devotions. As I write this from my perspective, it is extremely difficult to relay the exact feelings a person has when participating in these trips. 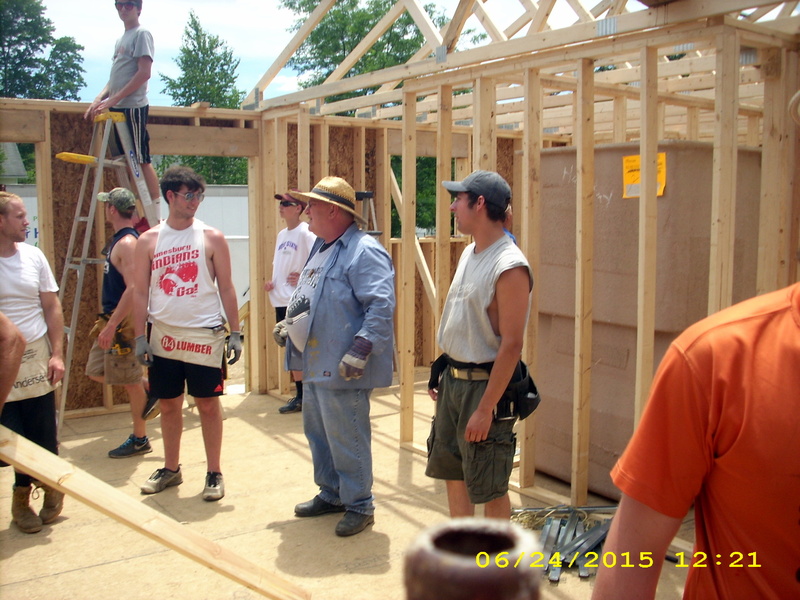 What I know from personal experience is how the youth respond to the challenges both on and off the worksite. 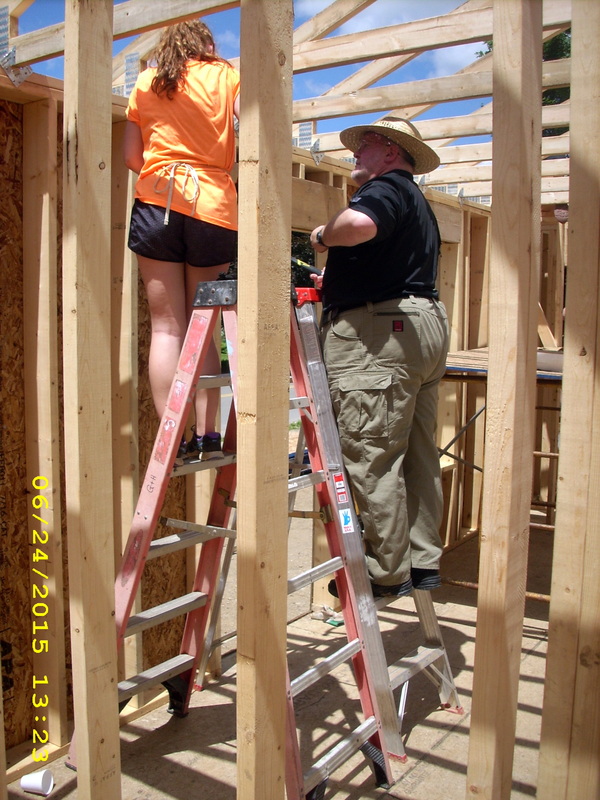 On the worksite, they rise to the occasion and fulfill physically demanding tasks. 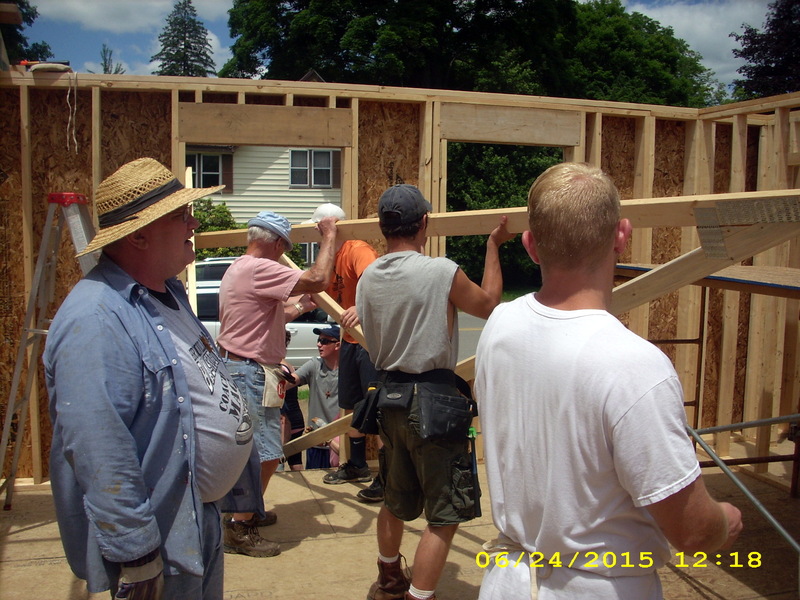 I have seen them naturally form assembly lines to move product around the worksite. They take the initiative to get involved. They learn new skills. 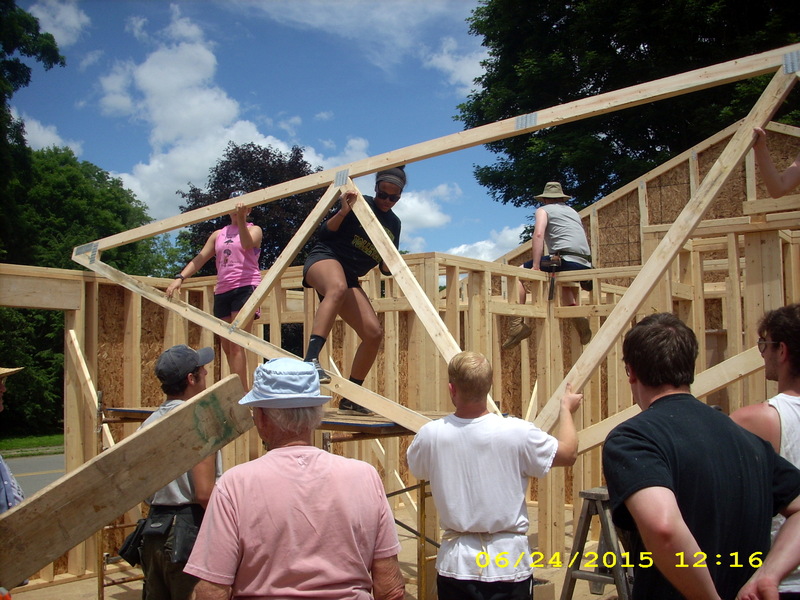 They improve upon skills learned in previous years and ultimately they learn how to work together to accomplish much. 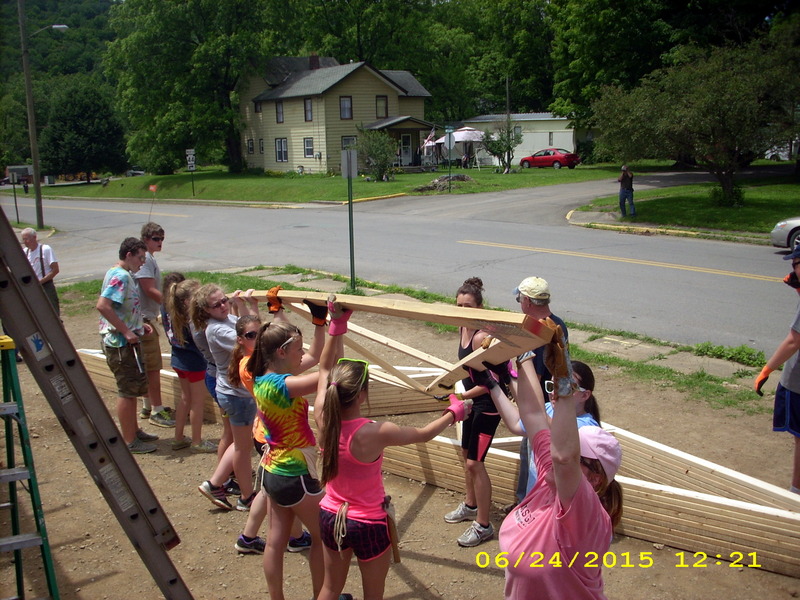 Many Youth develop their leadership skills that can be used throughout their lifetime. There is a sense of pride at the end of the week by every individual involved – “We did that” is a common statement that you hear. 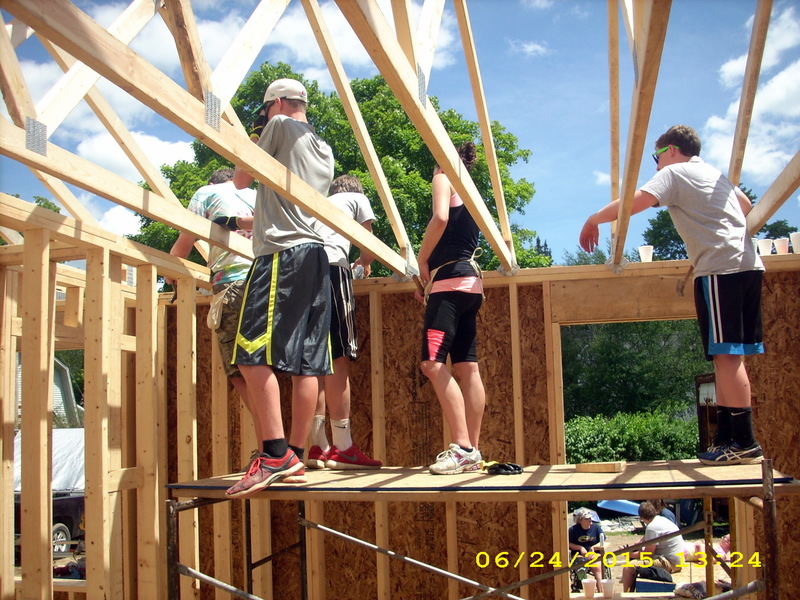 Off the worksite, the time we spend together in fellowship with each other is an extremely important part of the entire work camp experience. Everyone feels like they belong – both youth and adults. We spend a lot of time laughing and talking about previous year’s work camps. As I said earlier, it is extremely difficult to explain how you feel after participating in our work camp but I encourage everyone to speak to any individual that went this year and find out what it is all about. 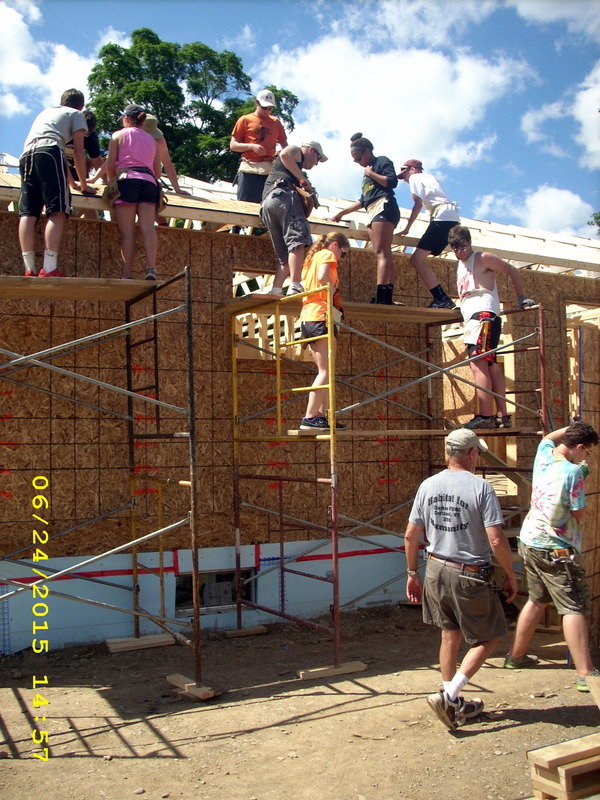 As an adult that goes year after year, these work camps are life changing. I promise you will never return the same as you left. 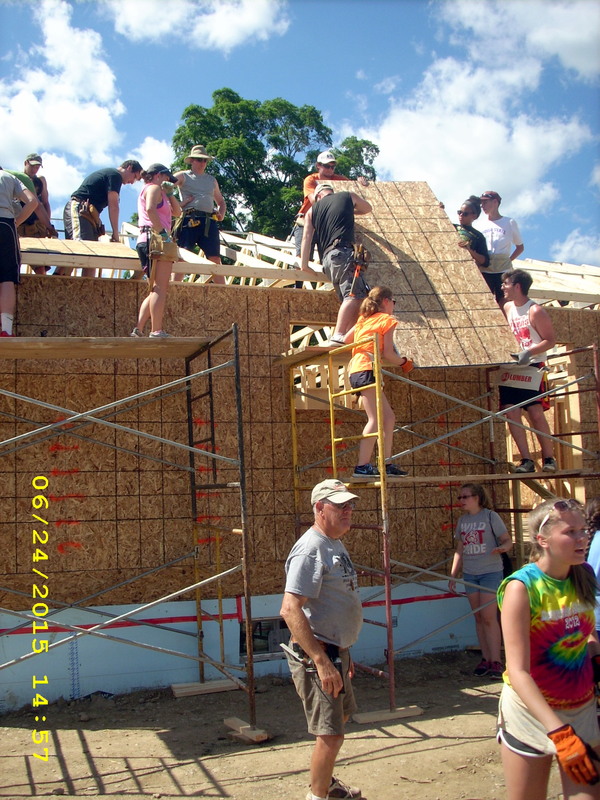 If you would like more information please contact Shelly Rhoades (Youth Director) at shelly.rhoades@uhsinc.com. Youth make a point in their busy schedules to always reserve time, each year, for this very special youth ministry event.